Want the fun and feel of a Carnival?? Then this is the inflatable bounce house for your event. 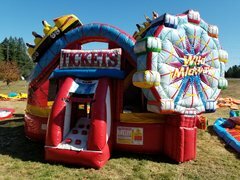 Add some Yard Game rentals to make your party even more fun for the kids. 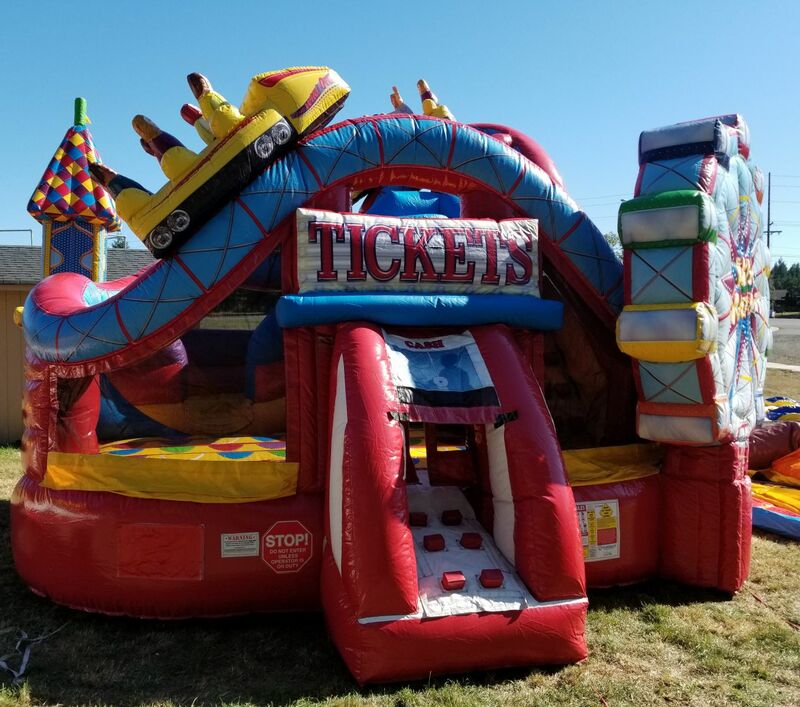 Bring Carnival Fun to your event with our spacious brightly colored Midway Bounce House Slide Combo. 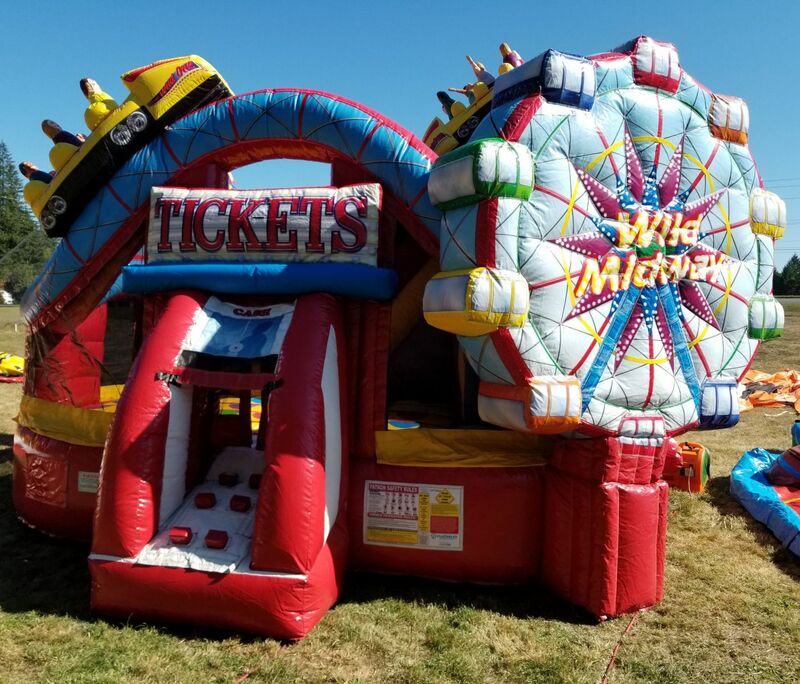 The Midway Slide Combo will be the most popular place at your event. No one will want to leave the party.